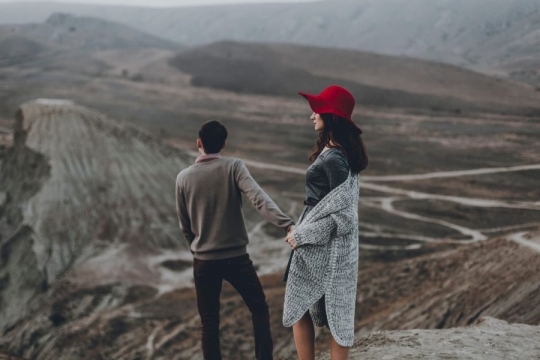 For many people hoping and seeking lasting love, trying to crack the code of “compatibility” is just as likely to create confusion as clarity. That’s because, for all the tidy checklists and online quizzes meant to gauge a couple’s compatibility, in reality, it’s a complex interplay between psychology, biology, and a host of intangibles that resist easy characterization. Does that mean compatibility is overrated as a cornerstone of healthy relationships? Definitely not. But neither is compatibility a simple series of boxes you check off and forget about. It turns out your key “must-haves” and “can’t-stands” can line up quite well — and you still rub each other the wrong way. You may both be avid skiers, but if you can’t amicably decide where to go on your next vacation, then “compatibility” in that respect counts for very little. It’s important to remind yourself alignment will never be perfect, and success ultimately depends on how you handle remaining differences. It’s about your temperament, disposition, and attitude — whether you are able to believe the best about each other, support each other even when disagreeing, and allow your values to grow and change when necessary. Where those qualities are concerned, compatibility is not something you have, it’s something you make — together. A host of things fall under this umbrella — from eating habits to hygiene to your respective attitudes about substance use. If your idea of a perfect weekend is popcorn and old movies on the sofa, and your partner pushes you to join her in the mosh pits of the city’s punk rock clubs, you may be headed for trouble. On the other hand, you may still be compatible if you can give each other the freedom to enjoy your differences apart. Of all the goals you will set and work toward together, money management is arguably the most important. That’s because, in one way or another, it touches practically everything else. Do you need to talk bank accounts on the first date? Of course not. But within the first few weeks, it’s important to get even a basic understanding of your potential partners’s financial picture and outlook. A defining characteristic of an inclusive, democratic society is the ability to calmly consider all points of view. In a romantic relationship, however, some issues are likely to produce divisions too wide to span. Be honest from the beginning about your potentially polarizing beliefs. By far the biggest, most important, and most demanding project you’ll undertake together is having and raising children. Long before the first child arrives, make sure you can agree on key parenting values and goals. This is not to say you must always think alike, but that you should be able to think with similar tools of education and reasoning at your disposal. A divide will inevitably open in a relationship when one partner feels consistently outsmarted and outgunned in conversation. Yes, it matters whether you want and enjoy the same things in bed. Feeling pressure to deliver an experience you find distasteful is not cool — and not something you can sustain for long. Conversely, you’re probably incompatible if your own desires consistently go unmet. Some diversity in a relationship can make it stronger and more resilient. Too much will add up to incompatibility. Knowing where to draw the line is a task best approached with patience and love. Script version 3.1.0, Page processed in 0.0313 sec., Total queries 6 - 0.0165 sec., Php processed in 0.0148 sec., Domain detected in 0.0005 sec., Page detected in 0.0001 sec., Template detected in 0.0012 sec.